Risk management through Risk Budgeting is at the heart of what we do at CLS. We discuss it often in our commentary to remind investors of our philosophy and of risk in general. A recent study by Factset shows fewer than half of high-net-worth investors fully understand how their risk profiles affect their portfolios. Also, 36% of these investors cannot correctly identify a risky portfolio. So, there is plenty of need for advisors and fiduciaries to educate their clients. Risk Budgeting is our approach to managing multi-asset portfolios. We believe it is a superior method of managing money and helpful in setting investor expectations. Nearly all CLS-managed assets are formally Risk Budgeted, meaning they are explicitly managed to a target risk level. If a portfolio has a Risk Budget of 60, for instance, the portfolio should assume about 60% of the risk of a globally diversified equity portfolio. This is one misconception we are often asked about, and I completely understand why. It’s very intuitive to associate the two, but they aren’t the same. We believe a better investor experience is achieved by accounting for the risk and volatility in stocks, bonds, and alternatives. Can we all agree biotech stocks are riskier and more volatile than consumer staple stocks? And, that emerging market local currency bonds are riskier and more volatile than U.S. investment-grade corporate debt? Risk (and/or volatility) must be accounted for. After all, within separate account portfolios and ETFs, everything is transparent. This can be positive, but sometimes we fixate too much on one aspect of a fully diversified portfolio, and this can cause mistakes (see Narrow Framing). Let’s take this one step further and build a naïve portfolio using three of the previously mentioned ETFs in a 60/40 stock-to-bond mix. We’ll choose 30% SPY because it’s the largest ETF, 30% IEMG because it was one of the best performing asset classes in 2017, and 40% AGG because it is a good proxy for the U.S. bond market. This hypothetical portfolio runs up to a 75 Risk Budget — a full 15 points higher than the perceived 60 stock-to-bond ratio. Because emerging market stocks fluctuate more around the average, they will be assigned a higher Risk Budget score. The more these stocks are added to a portfolio, the more volatility they will add, too. This must be accounted for to set proper expectations. Of course, no one notices the risk or volatility in good times; but in down times, it can cause considerable concern. This may be fairly obvious after reading our first surprising fact about the Risk Budget. The maximum Risk Budget that CLS will manage to is 100, but the individual securities that make up the portfolio can be well over 100, and even negative at times. Two of the best performing ETFs in 2017 were ARK Innovation ETF (ARKK) and VelocityShares Daily Inverse VIX Short Term Futures ETN (XIV). These two were extremely volatile and bet on different ideas in the market. ARKK is an ETF that invests in innovation. Its largest holding in 2017 was the Bitcoin Investment Trust (GBTC). ARKK was up more than 87% in 2017 and its Risk Budget is 190, almost double the global market proxy of 100. XIV was up more than 187% in 2017 as it bets against market volatility via the Chicago Board Options Exchange (CBOE) Volatility Index (VIX). This fund is even more volatile at a 790 Risk Budget. This ETF swings wildly, and one should not invest without prudent due diligence. On the flip side are bear market and inverse stock ETFs, such as AdvisorShares Ranger Equity Bear ETF (HDGE) and ProShares Short S&P 500 (SH). These securities are meant to take short positions in certain markets and stocks, and provide an equity hedge. Thus, they have negative Risk Budget scores, which means by adding some exposure we can reduce the Risk Budget of a portfolio. Investors should be managed prudently by fiduciaries. And, by accurately assigning every ETF a Risk Budget score, CLS can build globally diversified portfolios that investors are comfortable with. 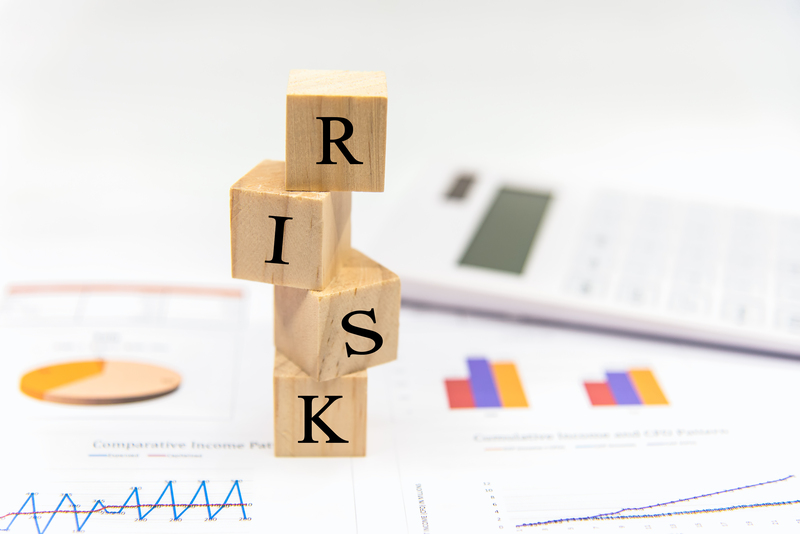 Beta (a security’s sensitivity, or risk, to its comparative market or benchmark) is a great way to begin to identify risk. Some use it alone (at various time intervals) to determine the risk of a portfolio. But when we build transparent portfolios for investors at CLS, we view beta as insufficient in providing the full picture. Take gold for example, or the SPDR® Gold Shares ETF (GLD). Gold and other diversified baskets of commodities are viewed as beneficial in portfolios because of their diversifying nature and low correlation to the stock market. Since correlation is part of the beta calculation, GLD would have a lower beta score compared to our equity benchmark. And it does, coming in at a 1-year weekly beta of -0.15. The 10-year beta also looks good at 0.17. A low or negative beta is generally an effective diversifier. So, in this example, gold could be a good addition. But since ETFs can be more transparent than mutual funds, we must consider the behavior of GLD. In the chart below, the teal line represents the global stock market, the gold represents GLD, and the gray represents the bond market. The gold line clearly shows more volatility. CLS believes this volatility (we use the term relative risk) must be accounted for because we consider the transparency of the portfolio and the narrow framing investors can exhibit. If the security moves up and down much more than the stock and bond markets, there is a higher chance it could be negative relative to other elements in the portfolio. This may cause investors to fixate on this small element of the portfolio. Even though beta tells us it is low risk, volatility communicates the opposite. In fact, when we account for the volatility of an equity portfolio (relative risk) we get a higher Risk Budget score of 51. Volatility matters and beta alone is insufficient when constructing portfolios or guiding clients. There is no industry agreed upon definition for risk. Some associate it with volatility, some associate with not achieving one’s goals and others liken it to the likelihood of making a behavioral mistake in your portfolio. We believe they are all related. Volatility can cause irrational behavior, which can cause one to miss their goals for the long run. In the end, all of the points above are good reminders of the importance and versatility of Risk Budget in a portfolio along with the portfolio manager and end investor.